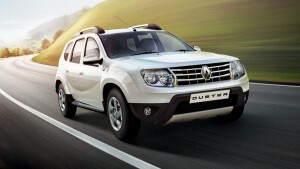 Renault, the French automaker has launched the 2015 Duster for the Indian market. While the changes on the exteriors have been mostly cosmetic, it’s the interiors that have seen the most updates. 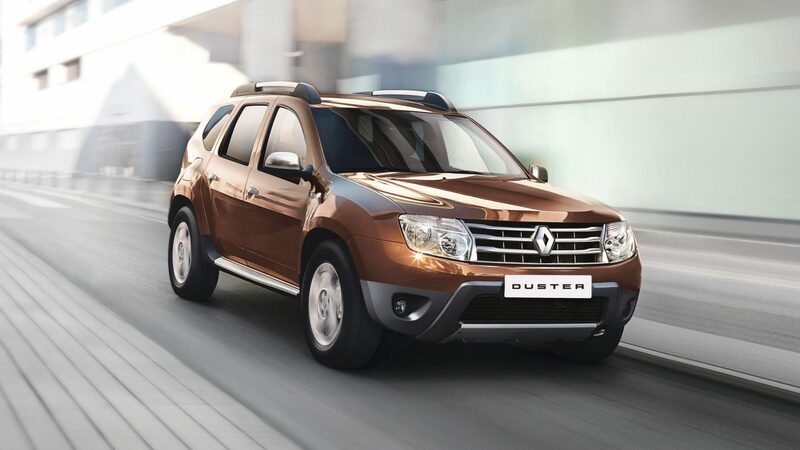 On the exteriors, 2015 Duster gets body coloured wing mirrors and door handles. The car also gets smoked headlamps this time around. 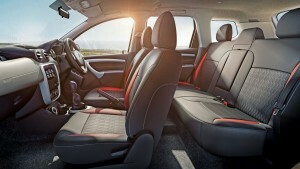 The interiors of this compact SUV have been packed with new features. The AWD version of the Duster offers an armrest for the front seat passenger, soft-touch dashboard and new upholstery for the seats. To make your drive more convenient, the car offers a new instrument cluster, cruise control, new steering column and speed-sensitive door locks. 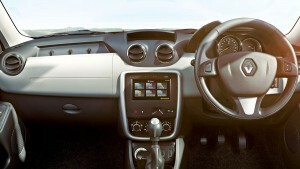 The new multi-information display on the dashboard has a gear-shift indicator and a service reminder feature. 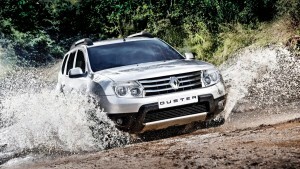 Renault’s latest Duster carries on the engine from the previous generation but is tweaked to offer better fuel efficiency. It comes in a 1.5-litre(1.5K9K ) and 1.6-litre engine variants. The 1.5K9K engine is available in two tune options, 85PS, and 110PS. The 85PS motor is mated to a 5-speed manual box while the 110PS variant is mated with a 6-speed box. Renault claims that the 85PS engine offers a mileage of 19.87 Km/liter whereas the 110PS variant offers a fuel mileage of 19.64 Km/liter. The 1.6-litre engine on the other hand churns out 104PS while delivering 13.24 Km/l. 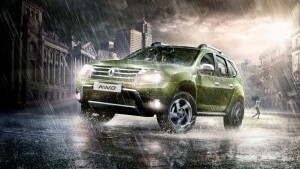 Renault said that in 2015, it will be launching two more vehicles in the Indian market. 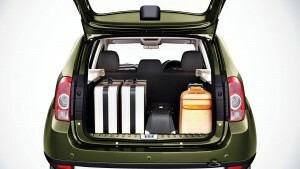 One of them is the Lodgy MPV whereas the other is a new compact hatchback. More on that in the future, keep checking AutoGyaan for more.